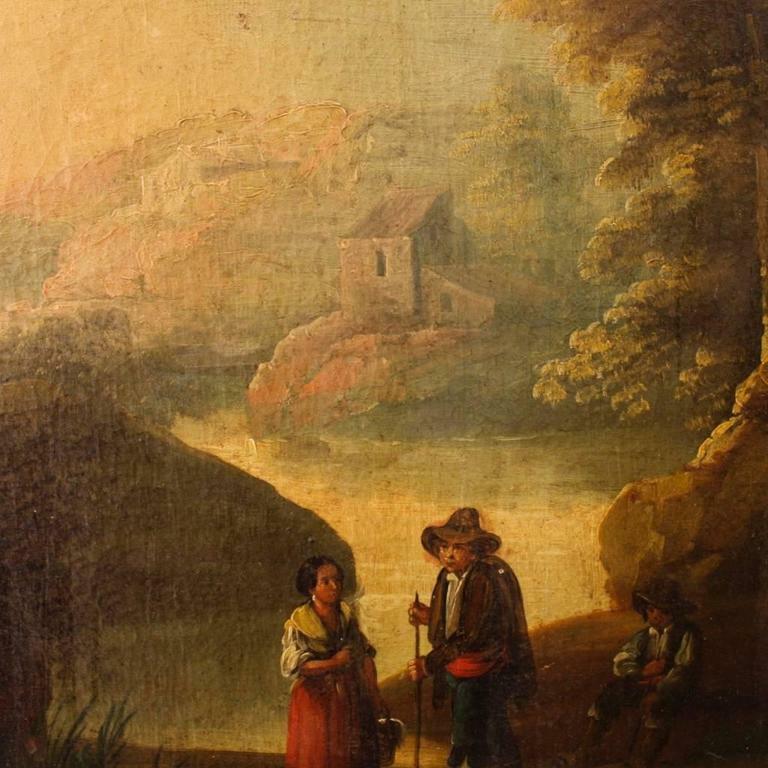 Spanish painting of the second half of the 19th century. 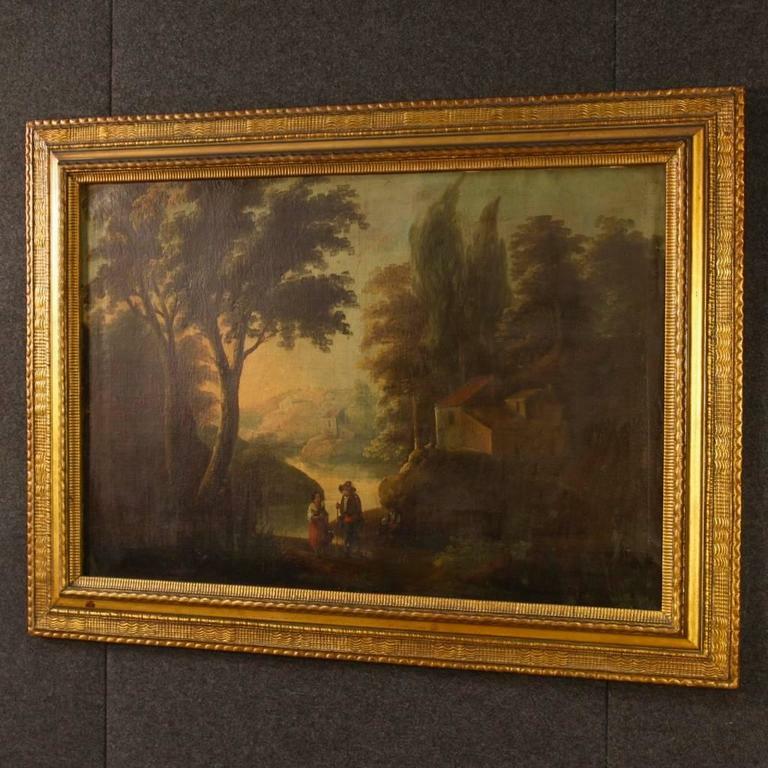 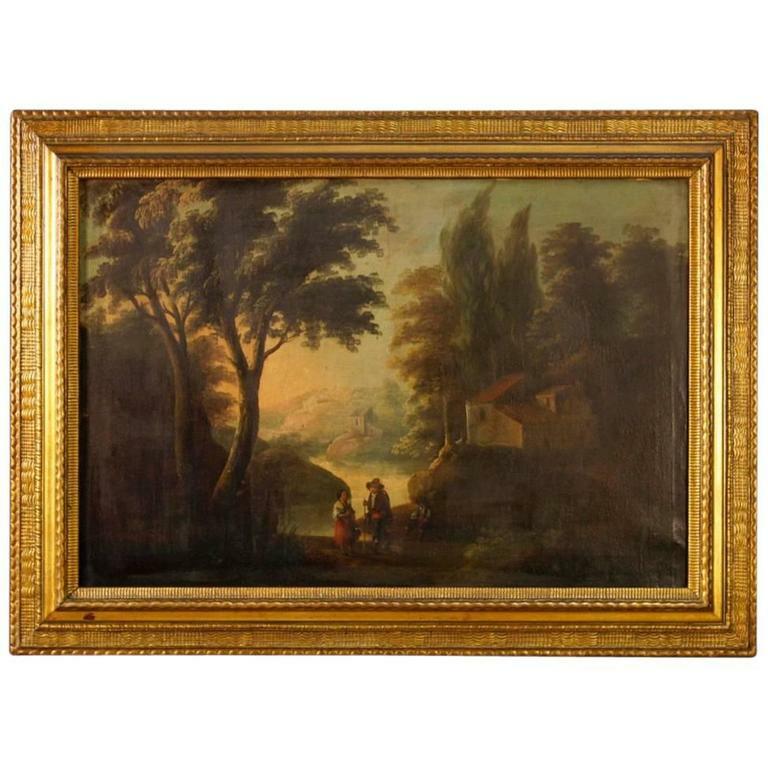 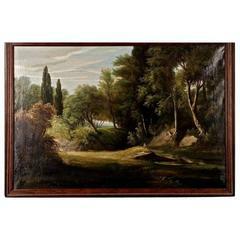 Work oil on canvas depicting a pleasant woodland landscape with characters and architectures, of good pictorial hand. 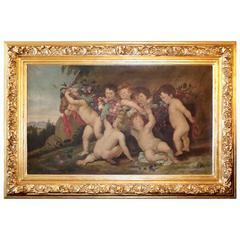 Painting of great measure with a frame of wood and plaster of the 20th century, of beautiful decoration. 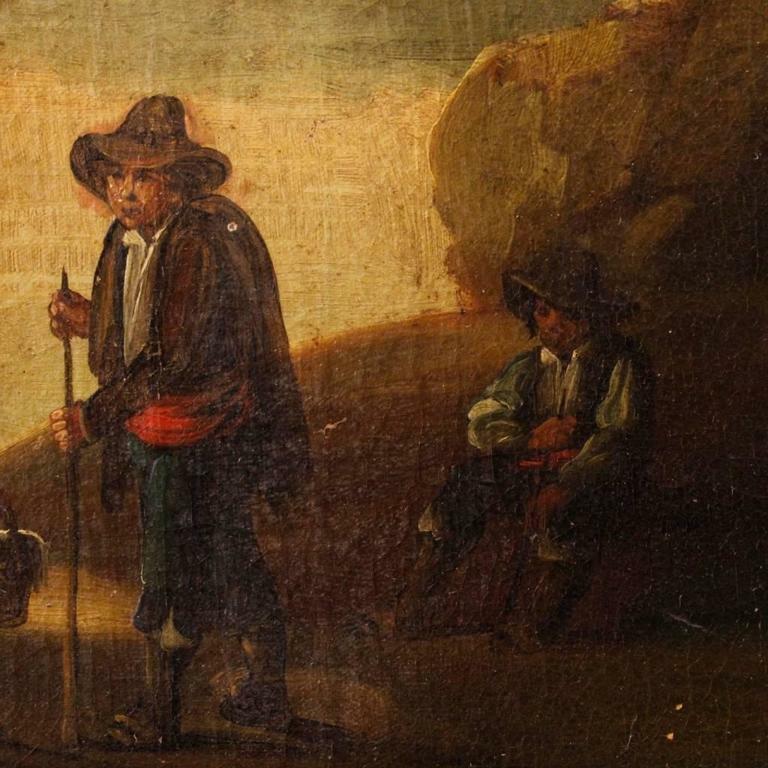 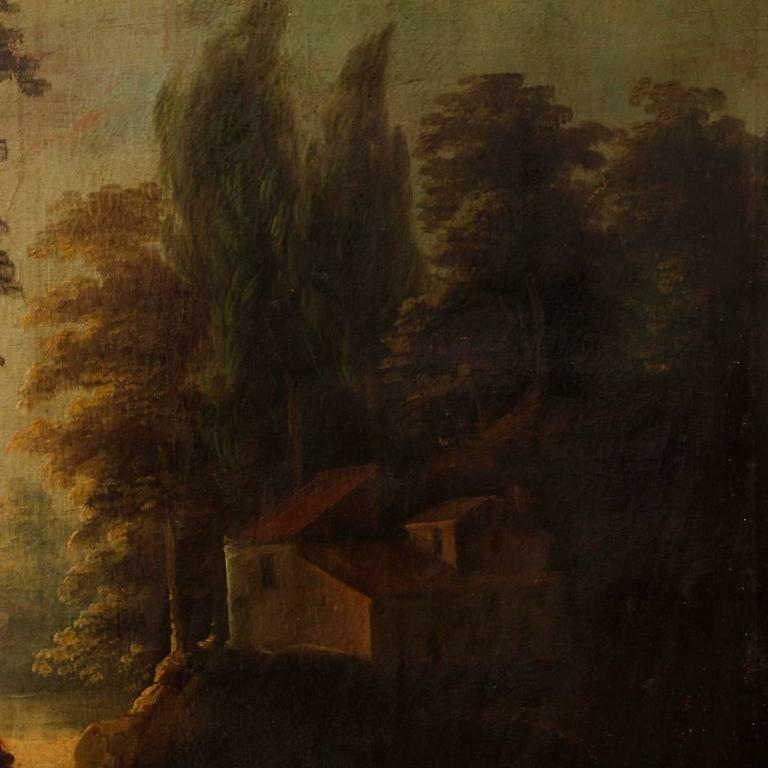 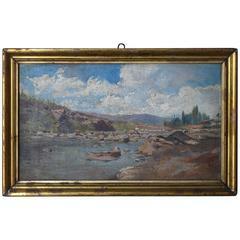 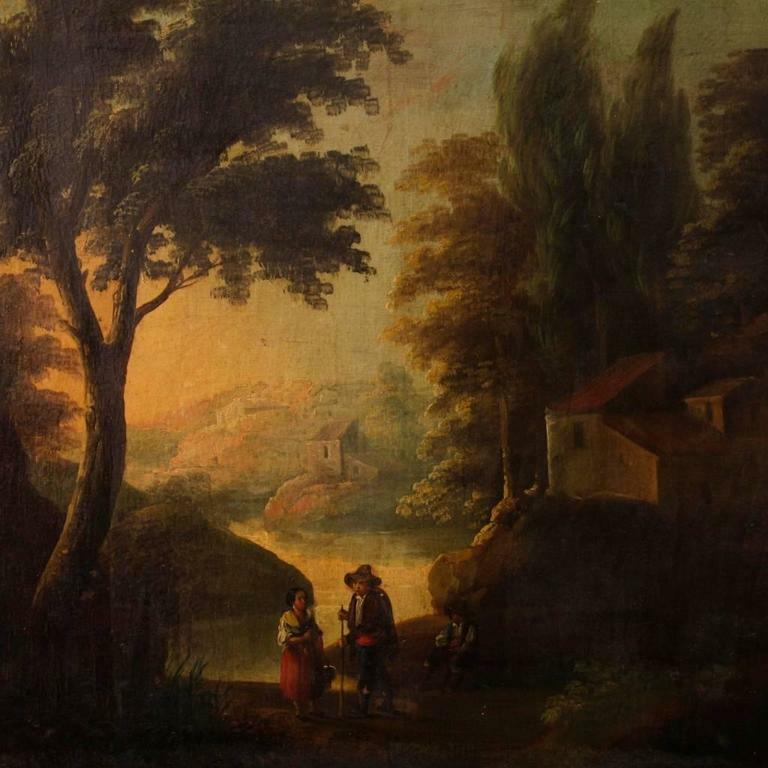 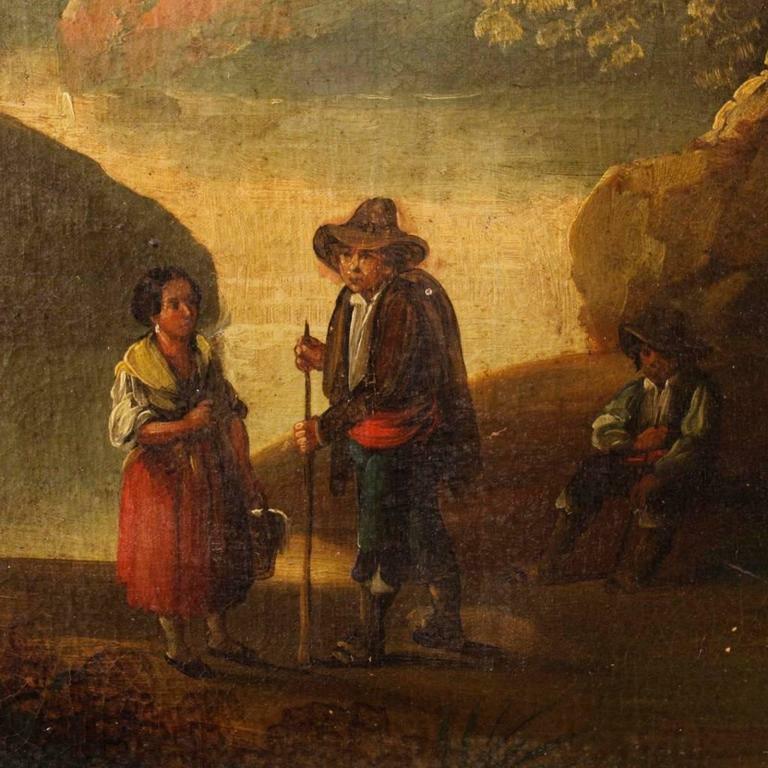 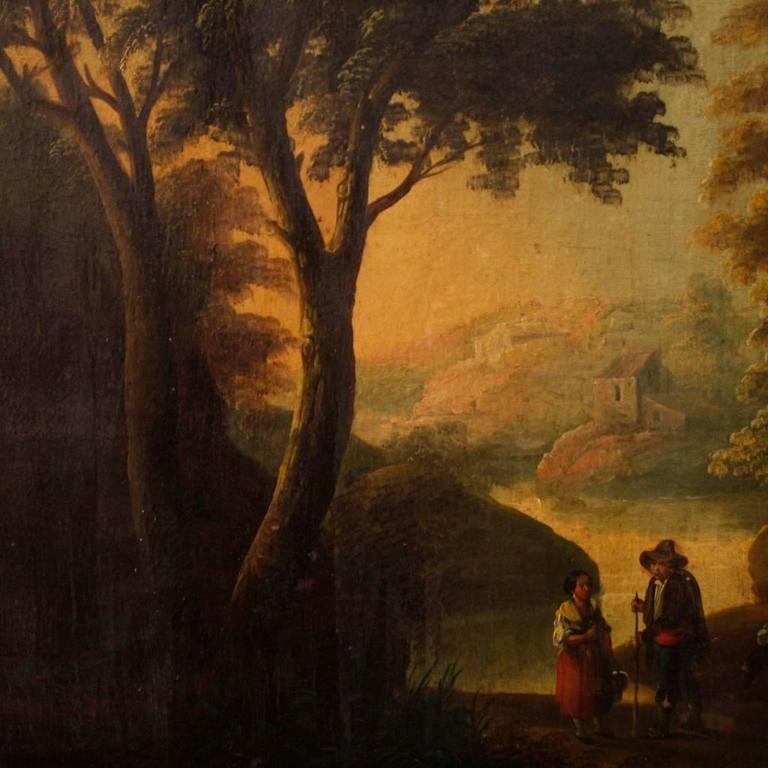 Painting for antique dealers and collectors, in beautiful patina and in good condition. 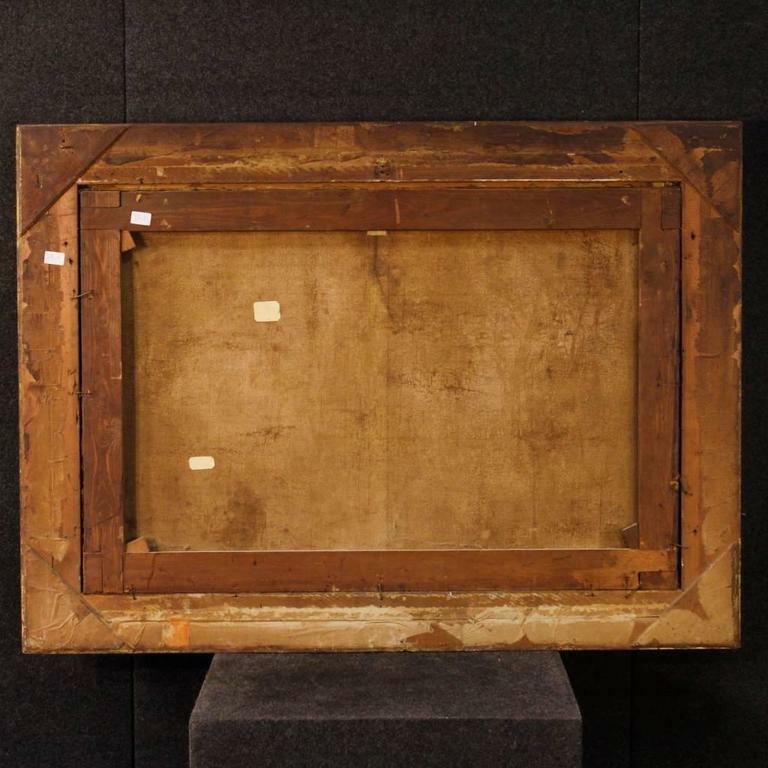 Sight size H 70.5 x W 105 cm. 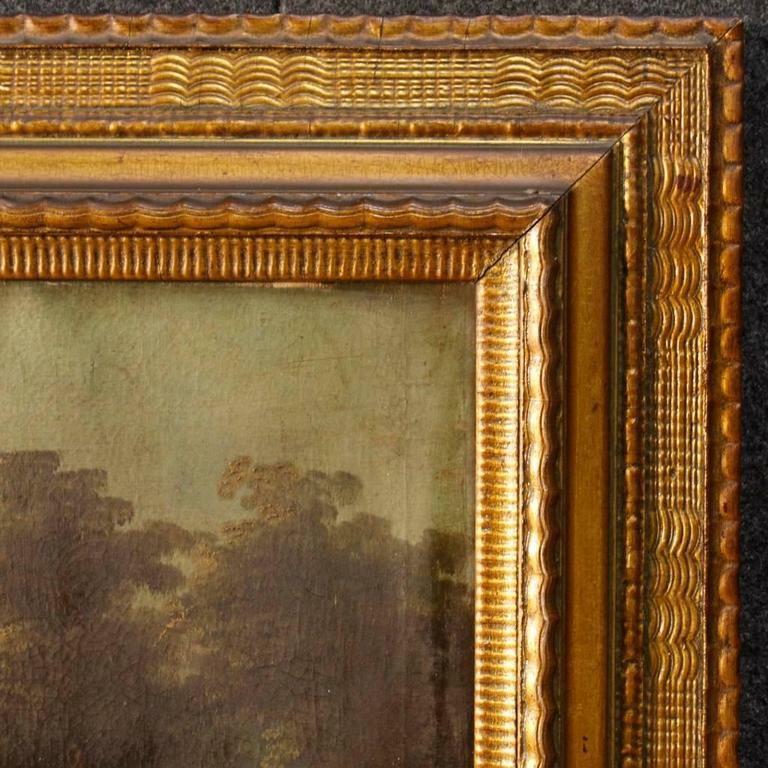 In beautiful patina and in good condition. 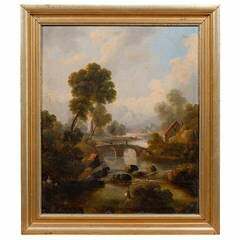 A giltwood framed oil on cancas landscape painting William Word Fine Antiques: Atlanta's source for antique interiors since 1956.